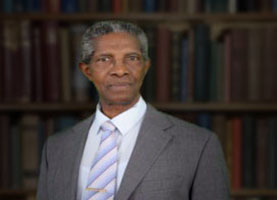 During the recent budget presentation for the year 2015, Grenada’s Prime Minister and Minister for Finance, revealed that a new Electricity Supply Act would be enacted. This would be done, he said, for the purpose of replacing the present legislation in order to ensure that the cost of electricity to consumers would go down. It is no secret that the cost of electricity in Grenada and other Caribbean states are extra-ordinarily high. In such a situation economic growth is always hindered. In the year 2010, the Caribbean Electric Utility Service Corporation (Carilec) conducted a survey of domestic electricity rates in the Caribbean and found that Grenada’s rates were the 9th highest. Trinidad & Tobago had the lowest, followed by Belize, St Lucia, Jamaica, Barbados, Bahamas, St Vincent and Anguilla. The cost of electricity in Grenada amounts to approximately EC$1.10 per kilowatt-hour. Dominica had the 11th highest after Curaçao and it is significant to note that the same company which has controlling interest in Grenlec, that is WRB Enterprises Inc, is the same one which controls the electricity company in Dominica. The Electricity Supply Act No. 18 of 1994 (“the Act”) authorizes the Grenada Electricity Services Limited (Grenlec) to have the monopoly to generate, transmit, distribute and sell electricity throughout Grenada, Carriacou and Petit Martinique until 31 December 2073. In fact, Grenlec has a coercive monopoly. This type of monopoly refers to a situation where a business enterprise prohibits competition from entering the field, and this is usually done, as with the present instance, with the aid of government legislation. In this situation competitors are not permitted to enter the field either by price competition, technological or product innovation or marketing. In the United Kingdom, the rest of Europe and in the United States of America, conscientious steps are continuously being taken to ensure that there is competition in all markets such as electricity, telephone and gas. Those countries are fully aware of the detrimental effects which non-competitive markets can have on customers. As a whole Western liberal democracies abhor monopolistic conditions. The present Electricity Supply Act provides for the adjustment of the cost of electricity to customers based upon the rate of inflation, the cost of diesel fuel and another special formula especially used to alleviate the ravages of natural disasters such as hurricanes. The end result is that these price adjustments create a severe financial burden on ordinary householders, and threaten the livelihood of thousands of Grenadians in commercial and manufacturing enterprises as the cost of electricity keeps going upwards year by year. Notwithstanding, there seems to be no question that over the years Grenlec has been operating efficiently and has been able to generate electricity reliably. This was not the case a number of years ago when government had controlling interest for the supply of electricity. The company made after tax profits of EC$10.3 million in 2010, EC$8.8 million in 2011 and a whopping EC$14.52 million in 2012. The major problem however, is that because of Grenlec’s complete reliance upon diesel fuel, and the continuous rise in inflation, there seems to be no control over the high prices which customers would have to pay for electricity. Because of the continuously rising cost of fuel, a number of Caribbean countries embarked upon utilizing other sources of electricity supply, such as wind farms, hydro-electric power and photovoltaic systems for solar energy. These are classified as “renewable energy technology” (RET). For example, wind farms and hydro-electric power make significant contributions to the energy resources of Jamaica. In fact there is no monopoly status given presently to any entity in Jamaica for the generation of electricity there. Aruba and Curaçao also have wind farms. Solar Water Heaters are substantially utilized in Barbados. In Grenada, whilst attempts are being made by investors to have photovoltaic systems as an alternative and cost-effective source of electricity for besieged electricity consumers those efforts are being frustrated by the monopoly status of Grenlec. It is of minimal consolation when Grenlec buys power from the owners of photovoltaic systems for 50¢ and sells back the same power through its grid for $1.10. It seems therefore that the only way in which electricity consumers in Grenada may be able to benefit from the deployment of renewable energy technology, is if Grenlec’s monopoly status is broken. Whilst the Act authorizes this monopoly, it is contended that this legislation is unconstitutional and must be repealed.